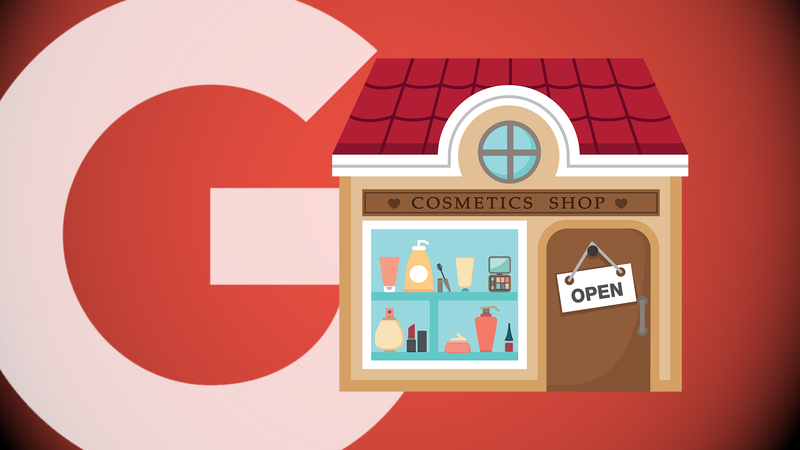 Last month, Google released version 3.0 of its Google My Business API, which for those of us managing locations at scale felt like Christmas came early. Included in the update were a variety of new features, the most important of which were the addition of attributes for locations, the ability to indicate a preferred photo and the ability to match locations between Google Maps and Google My Business listings. While all of the changes are exceptionally useful (and although one shouldn’t complain about a gift), the fact remains that significant gaps still exist in the API for the needs of enterprise brands, especially when it comes to geocoding and the ability to pull traffic information from a given location. It’s likely Google will address these issues in future versions of the API, but until that day comes, here’s everything you need to know about the gaps that still exist, how to bridge them and what you should do to optimize your use of the API. Google My Business is a listing engine that allows business owners to create profiles by entering name, address, phone number (NAP) and other expanded content about a given location. Google Maps then takes these location profiles and generates a map marker, which searchers utilize for things like driving directions. Although this process is generally accurate, it isn’t perfect, and even accurate and standardized addresses can generate geocodes that are off. As you can imagine, this is a bit of a problem if your map marker happens to lead customers down the street to your competitor instead of to the front doors. Unfortunately, the Google My Business API doesn’t allow you to automatically update the exact geocodes. If you want to adjust the geocode for a given location, you have to go directly into that specific Google My Business listing and make the change manually. In truth, this is a relatively simple fix — assuming you only have a handful of business locations to manage. But when you start throwing in a hundred, a thousand, or even tens of thousands of locations, managing this simple task quickly becomes a nightmare. The other gap in the Google My Business API is the ability to pull search analytics for individual locations. If you want to view impressions, visits, click-to-calls and ordering information for a given location, you have to go directly into Google My Business for that specific listing to find it. Again, if you only have a handful of locations, it’s not difficult to check on the health of a specific location. However, for enterprise brands, one simply doesn’t have the time to check each individual location manually. Until the day when Google addresses these gaps in the API, here’s my comprehensive seven-step plan to help you work around these issues and optimize your use of the API. Retain all of your location information in a single place that can act as the source of truth when you syndicate out to Google My Business. Populate this system with localized content, such as store descriptions, photos of each location from inside and outside the building, local menus, offers, local page URLs and whatever else is relevant to the individual location and your industry. Be sure that your business categories are up to date and that the relevant information is filled out. Thanks to the most recent update of the API, you can now manage your photos and designate a profile and banner image, something you had to do manually before. With local search continuing to grow in importance for Google, expect the number of localized options to increase with each future API update. If you want to take advantage of them, keep your database up to date. Use a broadly shared address validator tool that will scale with the number of locations you manage. I use USPS Zip + 4, but there are other tools out there like Melissa Data, SmartyStreets and Loqate. Do yourself a favor and standardize your addresses up front to save time and effort later. If you don’t enter standardized addresses into Google My Business, don’t be surprised if it generates geocodes in the wrong state, or even the wrong country. Believe me, I’ve seen it happen. Having standardized addresses is key to working around the inability to update geocodes through the API, as it will prevent you from getting bogged down in needless address errors and will let you focus on tweaking minor geocode discrepancies that inevitably arise. Confirm that your location data represented within Google My Business is consistent with your location data on record. Perform triage, then go into Google My Business and address the most critical location issues first. This will not be a quick and easy process, so plan on doing this over a period of time. Many people don’t do this step, and that’s a mistake. In fact, it’s one of the biggest mistakes a brand can make when managing local listings. If you don’t manage your closed locations, these ghost locations can haunt the search ecosystem and damage the data quality for your account by competing with nearby locations that are still alive and well. Fortunately, the latest Google My Business API update added the matching functionality, which allows brands to get a better handle on identifying and correcting these issues. Google My Business provides brands with unprecedented accessibility that allows for updates to take place in near-real time for those able to use the API. Take advantage of it. Prioritize your markets. Since you have to pull analytics directly from the business listing manually, it’s best to prioritize key locations that are representative of your highly desired individual markets or regions. Check the location insights of your high-value market locations first, then work down to lower priorities, depending on the time you have. Check local rankings. For the record, I don’t advocate tracking rankings or using them for performance metrics, but they can serve as a useful proxy for assessing the health within a given market. Local ranks are prone to changing, but you have to work with what you’ve got. Listings traffic. Utilize your local page URLs and add UTM tracking to understand traffic patterns to your local listings. This will give you a better understanding of how engaged users might be. If you follow the seven steps above, not only will you optimize the Google My Business API, but you’ll also address the API’s issues regarding geocoding and pulling traffic information for a given location. Here’s looking forward to whatever the next version of the API will bring. Brian Smith is the director of local solutions and resident local search expert at Placeable, a local marketing company specializing in enterprise brands. For over 12 years, Brian has been conjuring up solutions to the most vexing search problems for his clients. Responsible for all aspects of Placeable’s managed services organization, Brian executes local search strategy through content marketing, data syndication management, and technical enhancements to Placeable’s suite of products. When the Montana native isn’t working on ways to improve his clients’ search strategies, you can find him driving his kids to various sporting events and dance practice. Tags:Channel: LocalGoogleGoogle: Google My BusinessGoogle: Maps & LocalLocal Search ColumnSEO - Search Engine OptimizationSEO: Local.